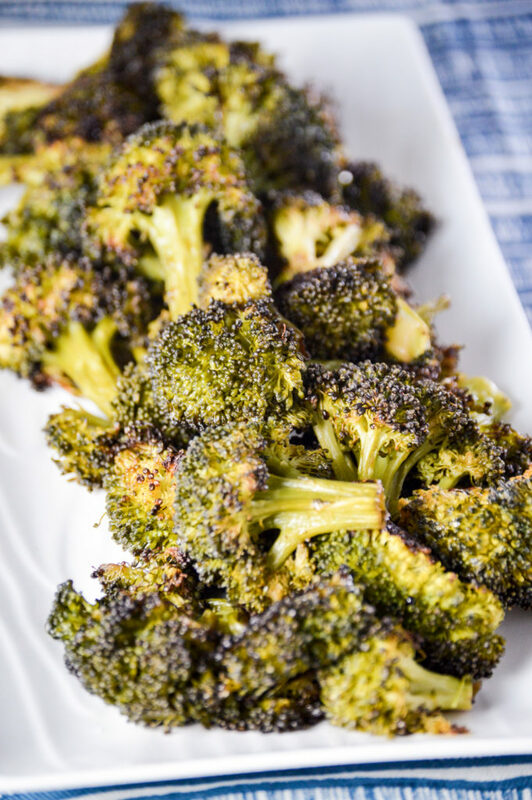 “Blackened” Broccoli are crispy on the ends yet still having that crunch providing perfect twist to a classic vegetable! Adding Coconut Amino and cooking at high heat help to make the ends “blackened” and crispy. Whats event better is they aren’t soft or soggy. For some, it might be convenient to come home, throw a frozen back of broccoli in the microwave and call it dinner. Eating plain old veggies steamed for five minutes in the microwave can get boring, flavorless and unsatisfying! Some companies make “healthy” broccoli with sauces but have you actually read what the sauces are made of? “Blackened” Broccoli is great meal prep food. It allows you to have a healthy side dish ready to go throughout the week. 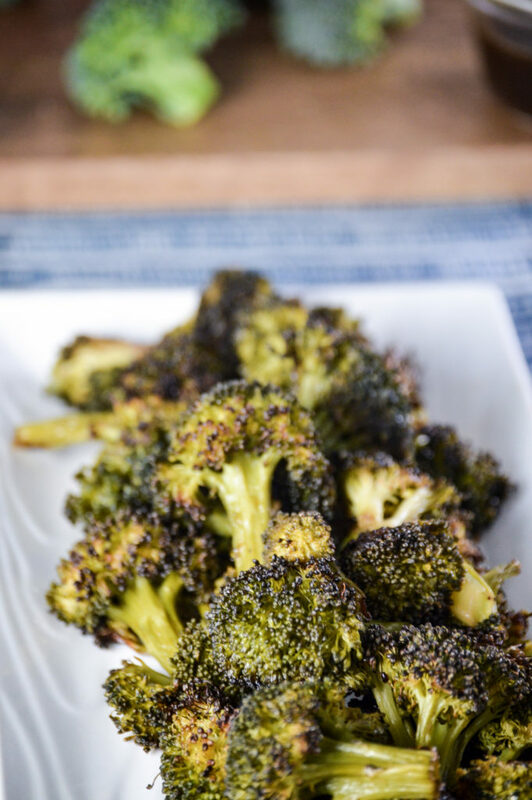 Making “Blackened” Broccoli is simple to prep. Start with two fresh crowns of Broccoli and chop off the florets, or pre-cut if that is easier. In a mixing bowl combine the Florets, Coconut Amino, Avocado Oil, and seasoning. Spread out the florets on a Parchment Lined Sheet Pan. Make sure the Broccoli is not touching to the best of your ability, it will allow for even cooking. Stick the Sheet Pan in the oven for 20 minutes, stirring once at around 10 minutes. 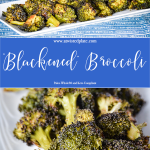 “Blackened” Broccoli is perfect for meal prepping at the beginning and the week and heating it up for a quick dinner. When reheating, if you want it more crispy and not soggy, you can throw it on a sheet pan or on a cast iron pan and broil under low for a few minutes to heat it up and get it crispy again. This dish isn’t just for dinner, you can have it with any meal. You can pair it with your breakfast to add a little green, put it with some protein, or a salad for a simple quick lunch. Meal prepping certain foods for the week that are versatile saves you a lot of time during the week aiding in making healthier dinners while saving time. It minimizes what you have to do when throwing together a meal. Thus, allowing you to focus more time on other important things. 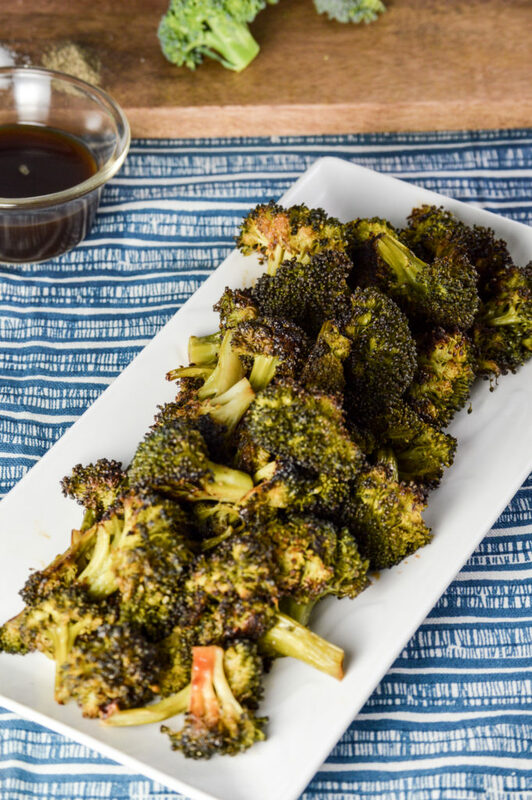 “Blackened” Broccoli that is cooked to perfection while being crunchy yet still crisp. Add all ingredients in a bowl and mix it all together until the florets are evenly coated. Take out of the oven, allow to cool and ENJOY!